Synopsis (Goodreads): A world battered by climate shift and war turns to an ancient method of keeping peace: the exchange of hostages. The Children of Peace - sons and daughters of kings and presidents and generals - are raised together in small, isolated schools called Prefectures. There, they learn history and political theory, and are taught to gracefully accept what may well be their fate: to die if their countries declare war. This book started out so slowly for me so it was almost a DNF but I am really pleased I persisted because I found the concept to be interesting and unique amongst other books in the genre at the moment. Premise: Artificial intelligence (AI), Talis keeps order among mankind's opposing countries – with the first rule of stopping war by making it personal. The children of the world leaders are held in Preceptures until they are eighteen years old or until their parents declare war. Characters: The main character is Greta Gustafsen Stuart, Duchess of Halifax and Crown Princess of the Pan Polar Confederacy; a kind, responsible and considerate character she was stoic and selfless. The newest hostage to the Precepture was Elián Palnik who is sarcastic with a hot temper; we also meet a number of other secondary characters, who all play a pivotal part in the overall story such as Xie, Elias and Da-Xia. Talis was also wonderfully characterised. World & plot – The plot is intricate and full of surprise twists but could also be quite confusing at times, I could never quite guess what was going on. The world we are introduced to was well constructed, environmental changes and war has forced leaders in to an ancient method of keeping peace through hostage transfers and we learn a lot about the tyrannical system under Talis’s reign in this futuristic world, I got more of a sci-fi political feel rather than dystopian with this title. Writing – Wonderful! Erin Bow’s writing style is masterful and enjoyable; I was hooked on every word of this powerful, terrifying, dark and gritty story. The Scorpion Rules was a thought provoking read. 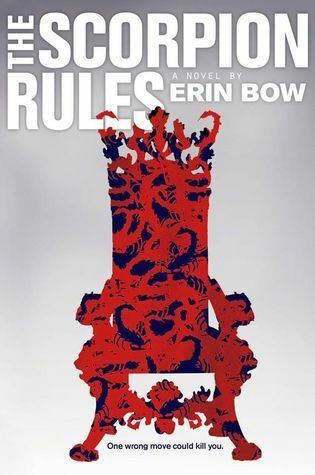 Thank you to Margaret K. McElderry books via Edelweiss for the opportunity to read and review The Scorpion Rules by Erin Bow. 1. 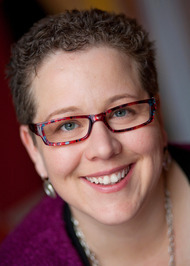 I'm a physicist turned poet turned YA novelist. 3. I wrote a book about Greta Gustafsen Stuart, Duchess of Halifax and Crown Princess of the Pan Polar Confederacy: THE SCORPION RULES, coming fall 2015 from Simon and Schuster.